Our ministry to children and youth is essential to the life of the church. The dedicated, committed and enthusiastic Education Team and Church School teaching team of First Congregational Church are thankful and excited about this most important ministry. In Church School, children and youth are taught the main tenets of Christian faith as well as an appreciation and understanding our traditions, spirituality, Scripture, rituals, seasons, and prayers. There is also a music component with a vibrant program for children and youth. Our ministry for children and youth also emphasizes the important of service to others, caring for others and loving neighbors through hands-on experience. We are committed to creating a loving and supportive environment in which the children and youth feel accepted and respected. Ages 3~5 years use the Frolic Preschool curriculum. Grades 1~6 use the SPARK All Kids program with lessons that are intentionally designed for children ages 6 to 1l to learn together in one classroom. Grades 7~8 will be participating in a Pre-Confirmation program which will include worship time and involvement, community service, youth group participation and assisting with church school classes. The Registration Form can be printed out on line. Adult Study Classes are open to all and attended by people from many faith backgrounds. These classes are usually held in two sessions a year, an autumn and a spring session. First Congregational Church of River Edge is committed to creating a church space where everyone feels safe, loved and respected. In 2010, a “Safe Church” policy concerning abuse and harassment prevention was adopted. 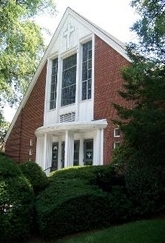 The policy affects members and employees of the congregation. Those wishing to know more may obtain a copy of the congregation’s “Trust With Care” booklet through the Church Office.